​​SOUL Supporters... This one is for YOU!!! Calling all HEROES and SHEROES!!!! SOUL will be hosting a 5K Run and Fun Run on SATURDAY, NOVEMBER 3, 2018 starting at 9 am. 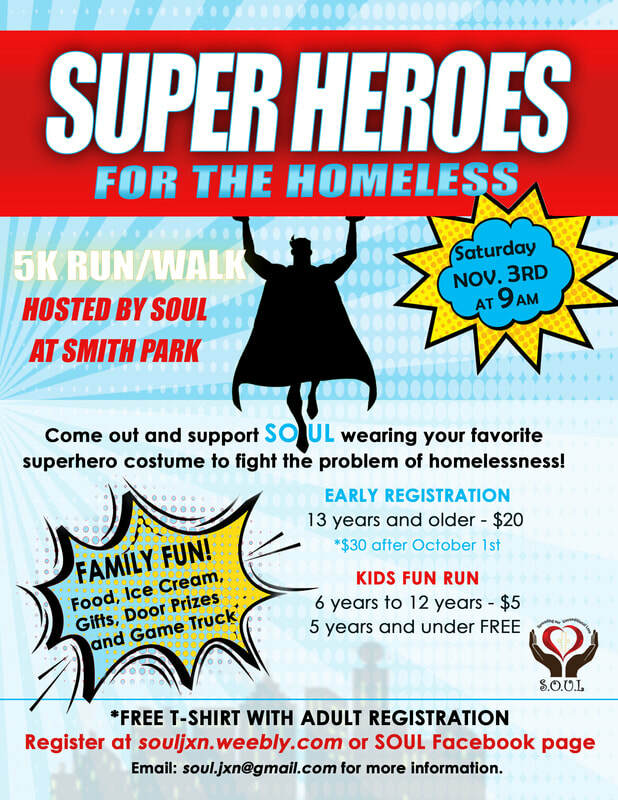 We are asking SOUL supporters to wear your favorite SuperHEROES costumes to fight the problem of homelessness.